Some feel that the jury system has a fatal flaw. And that flaw is the jurors. They’re human, and that means they carry a wide variety of biases. Based on their experiences, their outlooks, the information they’re exposed to, and factors they may not even be aware of, they’re likely to have some ax to grind that is going to disadvantage one side or the other. Does that mean that justice is an impossible dream, or that we would be better off with decisions being made by specialized judges or other technocrats? The answer is no, not only because those decision-makers will have their own biases, but also because there’s a cure built right into the jury system. While it is true that jurors are biased, and it is true that those biases can be pretty resilient, it is also true that jury trials contain one magic ingredient that isn’t present when decisions are made by other fact-finders. That magic ingredient is deliberation. A diverse group having a robust discussion on the issues tends to reduce or even remove the effects of bias. Deliberations will focus attention on the facts rather than the predispositions, and also bring scrutiny to extreme views and isolate those views. As a result, the research shows that the group’s decision is going to be less driven by bias than individual verdicts would have been. The latest study to show this looked at bias caused by social media exposure, and showed that while reading online comments tended to strongly bias individual verdict preferences, the effect of that bias disappeared after deliberations. In this post, I’ll take a look at the study as well as some implications. A researcher from Bournemouth University in the UK (Taylor, 2019) looked at the influence of social media comments on a verdict. Mock jurors were exposed to online comments which were manipulated to be positive, negative, or neutral regarding a criminal defendant. The results showed that exposure to the negative comments significantly increased the proportion of guilty verdicts. However, after the research participants were divided into six-person mock juries and asked to deliberate to a verdict, the effect of the negative social media commentary disappeared. “Although jurors may be unable to remain impartial before a trial,” the author concluded, “jury discussion can remove these prejudices.” The author also notes that the results are in line with the general research trend regarding the ability of group deliberations to cure bias. Bias still matters, and neither judges nor parties should rest easy in allowing clearly biased individuals into the jury. While the study didn’t test this, it is possible that there is a tipping point at which an attitude is no longer seen as a “bias,” but is instead a “majority opinion.” It stands to reason that the more bias there is on a jury, the harder it will be for deliberation to neutralize that effect. So litigators should keep pushing for better voir dire conditions, including time to ask the questions that are the most effective in revealing bias. 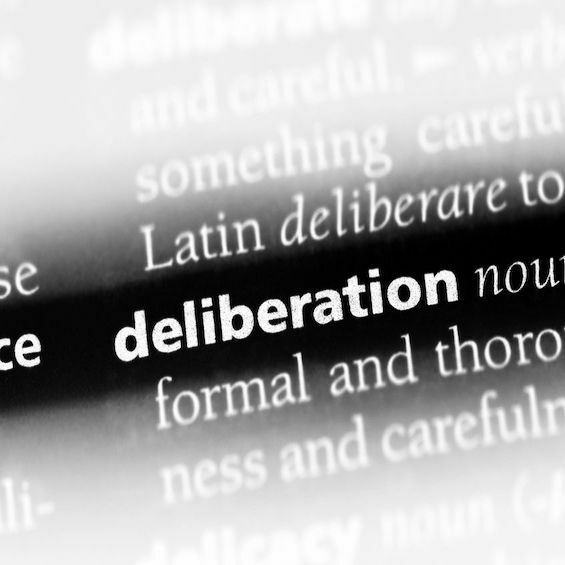 When you know or suspect that your jury is going to need to get past some bias in order to find in your favor, you should encourage them to have full and robust deliberation. Some research indicates that diverse groups are more likely to engage in thorough deliberations, so consider the full group makeup when exercising your strikes. In your messages during trial, you can also encourage jurors to take their time, look at all the exhibits, reconstruct the story, review the instructions, and have a full discussion on each of the issues. Conveying that message can help prepare jurors for deliberation, and can set expectations for treating robust discussion as the norm. Another message from the research is the reminder that individual attitudes are not the same as group attitudes, and a jury isn’t just a sum of the jurors. Instead, the group adds an additional factor with its own dynamic. In mock trial or focus group research, for example, it is important to measure and to pay attention to both the individual verdicts before deliberation, as well as the group results. And quite often, there’s a meaningful difference between the two. The individual results show where individuals want to be based on their own reactions to the case (which gives you a good measure of what you want to target in jury selection), while the group results provide the ultimate outcome with the added leavening effect of group discussion (which gives you a better measure of what can happen at trial). Attending to both levels helps you appreciate the full value and nuance of decision by jury. Taylor, J. (2019). Trial by Social Media: how do you find the jury, guilty or not guilty?. International Journal of Cyber Research and Education, 1(2).